From Issue 07 – Buy it here! Liquid force have been known for their world-leading wakeboards since wakeboarding began, but they have also been making kites for many years. 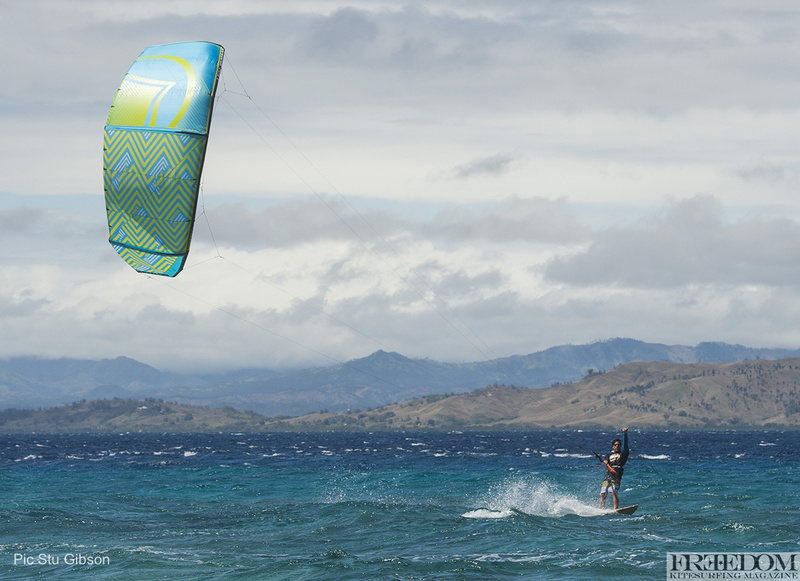 These kites are typically aimed at the wake/freestyle side of kiteboarding, helping many riders reach the top of this discipline like Christophe Tack or Brandon Schied. So with liquid force making some of the best freestyle kite products, they have now stepped into the world of surf kites with the Wow for 2017. The 2017 Liquid Force Wow is designed to give the rider control over all aspects of the kite with ease, allowing the kite to become a seamless extension of their board and body. The Wow flies fast across the wind window, pulls only when you want it to and has a drift that allows you to park the kite and focus on the wave. Combined with the Liquid Force Mission Control Bar, the Wow offers silky smooth sheet and go power delivery, effortless depower, exceptionable manoeuvrability and instant and direct response. The Wow is truly a kite that can be trusted in the air to do what it needs to do to allow you to focus on the wave, rather than on the kite. A small LE design allows for exceptional upwind performance and ultra-responsiveness for fluid carving turns. Engineered with the same bombproof construction as all the Liquid Force kites and featuring a timeless design, the Wow is a kite that is guaranteed to have a few seasons of use. Are you a dedicated surf-style rider who wants to focus on the wave and forget the kite while knowing it’s responsive enough to pull you through every turn even in the larger sizes? Or are you an amped freeride kiteboarder that is after a kite with a free, fun, energising feel allowing you to make the most of all your sessions? Then the Wow is definitely for you. Jason Slezak. The WOW is a great surf kite because of its drift, which also makes it perfect and stable for foil boarding! 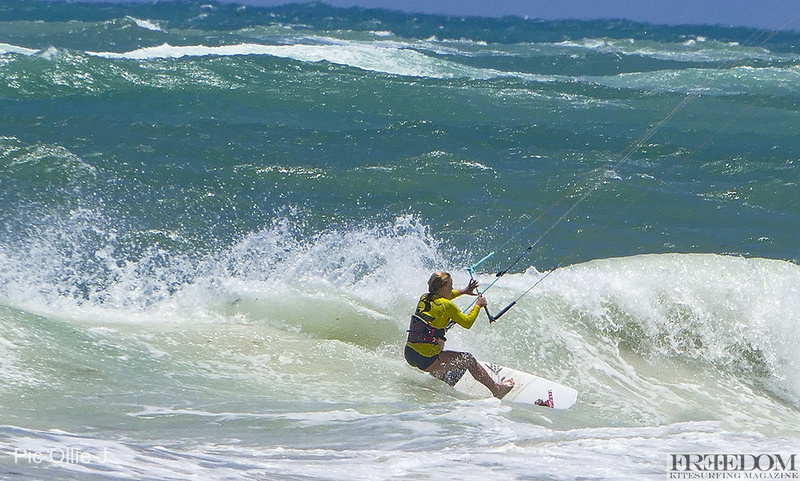 Although the Wow is an insane surf kite, it also makes for an exceptional freeride kite. The Wow has been stacked with freeride traits such as a light and floaty feel that brings a sense of life to every session and a stellar lift for the biggest of boosts. Pivotal turning allows controlled looping, whether that be megaloops, transitions or gentle downloop landings, to be done with great ease. 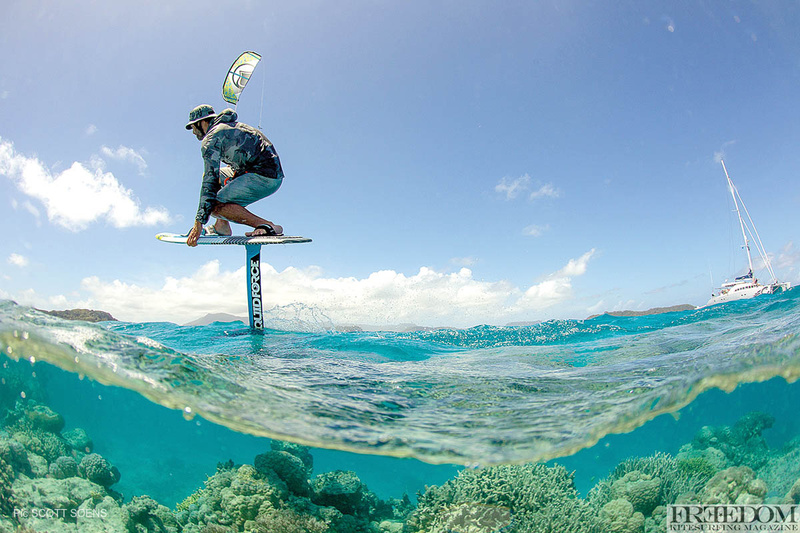 The kite’s ultra-responsiveness and great downwind drifting capacity also makes it great to use with a hydrofoil. Kiteboarding is a lot of things for me. A sport, hobby, lifestyle and, as I am getting older and more involved, kiteboarding is developing into a profession. Sometimes I have to shoot photos or video, which generally means more pressure to perform, compete and train to improve my riding. Some days I do get frustrated. Maybe the conditions aren’t great or I’m just having a bad ride. Either way, I know the easiest way to get back out and enjoy kiteboarding again is to have a ride on one of my Wows. 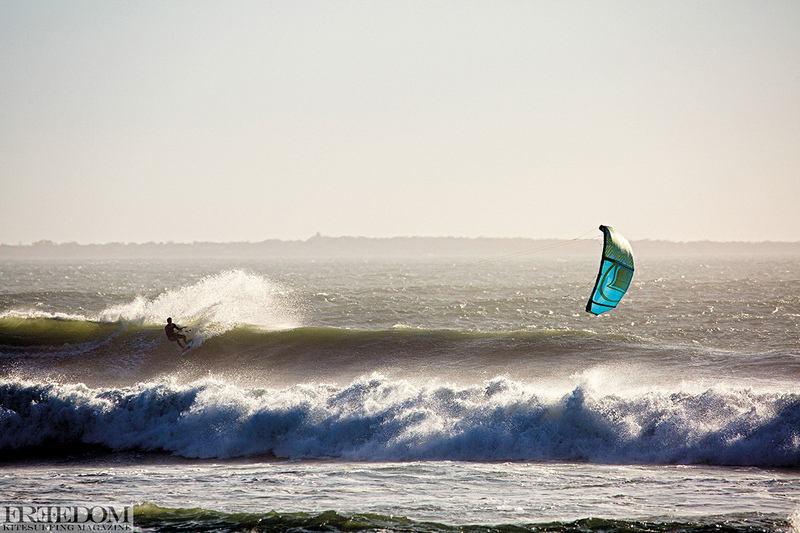 Although the Wow is a kite that performs really well when I am shooting or training in the surf, there is something about its light, floaty feel that makes it impossible to have a bad ride. It is so responsive and easy to fly and it’s always where I need it to be. With complete control over when I receive power from the kite, the Wow is my go-to kite in strong conditions. And with incredible upwind performance, the Wow is the kite I find myself on in light wind and foiling conditions. My style of riding perfectly suits the Wow V2 and Mission Bar combo. Whether I’m having a ball wave riding unhooked and strapless at my home beach break, or changing it up and having a freestyle session with the occasional handle pass, this year’s Liquid Force surf-style kite and bar allows me to get the best out of all of my sessions. It just works great straight out of the bag. The build quality has proven itself time and time again in the waves. Easy to fly, I’m able to move it into whatever place I need to nail a bottom turn and hit the line with the right amount of power. It’s also great for fast down-the-line floaters. I’d recommend this kite for anyone looking for an easy-to-use wave riding kite to a pro-level wave rider to someone who is looking for a durable free-ride kite. The Wow V2 really can impress you in all aspects of the sport. Swapping and changing gear is never easy. Jumping on a new kite and not knowing how to control it or understand the full potential of the kite can be pretty frustrating. It can take a solid session to simply figure out what the hell you’re doing. When I had a real go on the Wow for the first time, after a few tacks in and out of the breaks, I knew I was in for a treat. The Wow was really transferable across my surf-style riding, allowing me to focus on the waves and not worry about what was going on in the sky. The smooth drifting ability of the kite works when you’re pulling into a wave, helping you to relax and enjoy the wave. The new kite experience is also thrilling -catching that first perfectly timed wave has to be the most fulfilling moment. 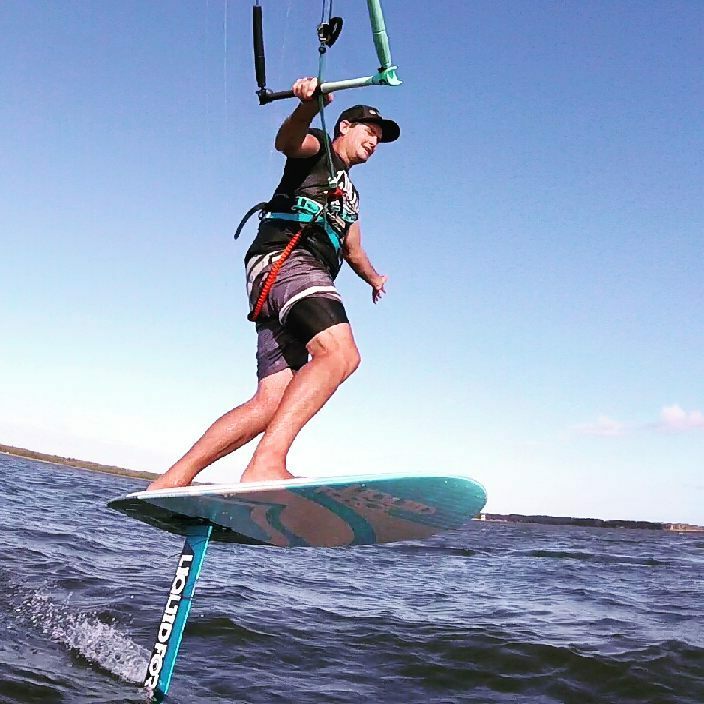 Liquid Force has created a kite that is great at all levels of riding. I guess the name kind of speaks for itself.